I tried the cucumber diet for 7 days and boy was it a tough diet to follow. Lets breakdown the benefits of cucumbers and if this diet actually works. At the end I share my results and review on if this diet is really worth the effort. What happened after I went on this diet will surprise you! What Is The Cucumber Diet? Cucumber diet is a diet that is primarily focused around eating cucumber for a certain period of time. You can try the cucumber diet for 7, 14 days or a month. I recommend no longer than a month as that would be too restrictive. Every meal that you eat will contain a cucumber. For example, you can combine cucumber with salad, yogurt, vegetables, fruits and hummus among other combinations. If you want to get more protein in, you can combine cucumber with rice and chicken. There are multiple combinations which I will come onto below. The goal of the cucumber diet is to utilise the health benefits of cucumber. 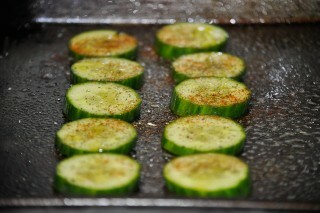 Cucumber is a nutrient rich fruit that is very low in carbs and contains zero fat and minimal sugar. Contain fisetin which is a anti-inflammatory flavanol. Cucumbers are known worldwide as a superfood. This basically means they are packed full of nutrients. Cucumbers are great for detoxing. They help the cleanse the liver, removing any toxins and waste from the body. In addition, cucumbers contain 95% water. Water is great for cleansing the body full of impurities and toxins, while also acting a natural diuretic flushing waste out in your urine. Cucumbers can also increase your resting metabolic rate. A study done on overweight children revealed that drinking water “significantly” increased the resting energy expenditure of adults. Subsequently, a similar study was done on children. The results revealed that the overweight children increased their resting energy expenditure and found it easier to lose weight. The study also found out that drinking less water resulted in more difficulty losing weight. Consequently, drinking water contained in cucumbers alone, or water infused with cucumber can help speed up your metabolism. Cucumbers are refreshing to eat. I remember I used to hate eating cucumber. However, after my mum forced fed me the stuff I actually grew to like it. 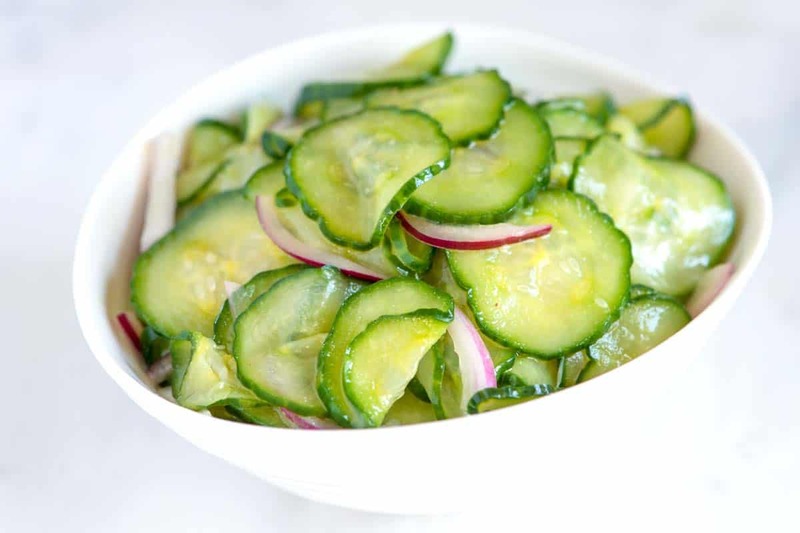 Especially in the heat of summer a crunchy cucumber goes well with many salads and dishes. They are a great for letting you let loose when your in the toilet. Just let the magic of the cucumber make you let it rip. Cucumbers are high in fibre and water content. Fibre helps add bulk to your stool considering it helps absorb all nutrients from your food resulting in a boggy mess. Bulkier stool passes more quickly through you intestine and out your body. The water content is great because it keeps you hydrated and keeps things moving in your body. It is also crucial to digestion. The science backs this diet to work. Inevitably you will get some benefit out of eating solely cucumbers considering their high in nutrition. However, diets solely based around one food type, mean you can miss out on other important foods. These include carbs that provide energy like sweet potato, brown rice, meat and fish. When on the cucumber diet these are obviously foods that will be restricted. Healthy fats may also be lost out. These include oils, avocados and the healthy fat from nuts and salmon/fish. You can include these foods with the cucumber diet but it will be more restrictive. The limited macros and carbs will start to irritate you as I discuss further below. Listen to your body, and try and satisfy your hunger pans. To fully utilise the cucumber diet its recommended you also exercise. Something as small as a 15 minute walk session will help raise your metabolism and burn energy. If you however, are thinking about lifting weights in the gym you may have a slight lack of energy considering the cucumber diet is not carb heavy. So if your goal is to gain muscle mass you won’t be able to see incredible results. It is great for toning up though. I tried going to the gym while on the diet and felt so weak. However, on my previous diet having eaten a hearty meal of sweet potatoes and fish I felt energised and happy in the gym. How Often Should I EAT?? First try eating whenever you want…this will likely be quite frequently. Considering, cucumbers are very light you will feel hungry. I recommend snacking on nuts or cucumbers. As the carb content of cucumbers is so low, it’s fine to eat whenever you are hungry. If you feel like having more of a structure and plan I would say stick to your main three meals a day. For example breakfast, lunch and dinner. In between feel free to snack when you want. In order for the cucumber diet to be successful you need a meal plan. Here is a list of meals I first tried out when on the cucumber diet. It was not easy at first but I got it done. All meals involve a cucumber. Some meal plans involve adding more additional food, others are more restrictive. I would say do not be too restrictive with your food choices. Need to vary up to make things practical and exciting. I got together a list of potential recipes you can have for either breakfast or dinner. You can mix and match and vary these up, however, you feel. Check out my 7 day meal plan below. 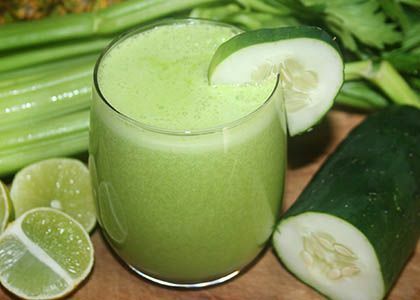 Cucumber shake (cucumber blended with apple and spinach)~ combine fruits you like into mix. I added cucumber, onion, garlic, black pepper and salt all together. For the sauce I used yogurt. If yogurt is not your fancy combining with a great dressing: white wine vinegar, a tablespoon of sugar, garlic clove, salt and black pepper. Is the cucumber diet effective? Cucumbers help with bloating, digestion, detoxing while also restricting calories. The science completely backs the cucumber diet and it will work. However, this is just half of the story. I believe long term the diet is not effective. It only works very short term. My goal was to try this diet for 7 days. To my surprise I made it to day 7 without giving in to a juicy burger or pizza! I didn’t even snack on a ounce of sugar which was amazing. It was so difficult not to give into the sugar temptation but somehow I managed. My results were good 🙂 Within 7 days I lost 2 pounds. I also noticed my stomach starting to show more clearly. Right after coming off the diet I immediately put back on those 2 pounds I had lost. Simply restricting my body so much from the foods I loved made me go on a massive eating binge. In fact I gained a total of 6 pounds since I came off the diet! One thing you will find if you go on this diet is the massive cravings for good tasty food. It’s very difficult to eat cucumbers all the time. I remember after day 3 I was going nuts! Seriously the only thing I had on my mind was eating something tasty like a cheesy pizza. I constantly had pizza hut on my mind simply because it was fattening, filling and tasty. The diet also plays with you mood. You will feel cranky. The food your eating loses its pleasure which makes breakfast, lunch and dinner more a chore. Those days where my friends were out in the food market eating different cuisines made me jealous. All I had was my pre packed cucumber salad…..depressing. Ultimately, I got sick and tired of eating those dam cucumbers. It didn’t help that even if I snacked on cucumbers I still felt hungry after. I found that I got so tired of snacking on cucumbers I was actually happy to go hungry. It’s an awful feeling. You desire something warming and filling. Not cold leafy salads. Doesn’t do much to excite you. You will lose weight following the cucumber diet. However, your likely to gain it back later after you get sick of cucumbers. Although I did end up losing 2 pounds in the week I ended putting that right back on once I stopped. Trust me when I say, you will get so tired of eating salads and cucumber. By the 7th day I threw in the towel. Ultimately, losing weight should always be a lifestyle change and not something just done for a week or two weeks in a year. The best transformations are done through following sustainable schedules and meals that are not so restrictive. I don’t believe having a diet solely around cucumbers is going to be a long lasting sustainable diet. Cucumber diet is a tough diet and one that is not practical…what’s the point of losing weight only to gain it back again. 1 week really worth 1 or 2 pounds. 95% water. cucumbers are nutritious but are made up of 95% water! Might feel cranky or angry at first when restricting yourself to cucumber meals. Since realising that the cucumber diet was not for me, I was on the search for a new diet. My friend told me how she had recently been experimenting with cooking thermogenic meals. I decided to see what all the fuss was about. Having bought the book, I was amazed how good some of the recipes were. I realised you don’t have to survive off lettuce and cucumbers in order to lose weight. 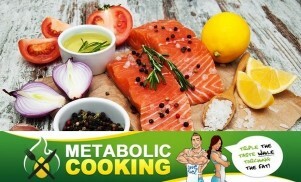 Tasty recipes that actually help your metabolism do exist! Its working and I’m starting to see my hips and belly come through again. Likewise I no longer feel the excruciating hunger pans or the extreme boredom of eating cucumber salads. Essentially, losing weight has to be a lifestyle change and a mental change. There is no point sticking to short 1 or 2 weeks diets to lose weight. I can now refer to a huge list of cooking recipes and easy to prepare meal plans. Ultimately, you should always be thinking long term. Weight loss actually can be an enjoyable and enriching journey that does not involve starving yourself like the cucumber diet did. Thanks Karine Losier, metabolic cooking has certainly worked for me. It can definitely work for you too!